When posted the video of Mordechai Kedar speaking on Al-Jazeera TV, I only had a subtitled version of a 2 minute segment. I noted that I didn’t have the full video with English subtitles and that I would update if I found it. Reader Gideon Kantorovich very kindly sent me the video of the full interview (10 minutes) complete with English subtitles, which I hereby post below. It came as no surprise that the Palestinian leadership responded angrily to US President Donald Trump’s recognition of the obvious reality that Jerusalem is Israel’s capital. But beyond the usual “day of rage,” rockets shot at Israeli preschools and firebombs thrown at passing Israeli civilians’ cars, the Palestinian Authority decided to make like the Grinch and steal Christmas, only proving that Trump was right not to fold to the whims of the side that has a pattern of violating religious freedoms, when it comes to a city holy to three religions. Bethlehem, thought to be Jesus’ birthplace, and Ramallah, the de facto Palestinian capital, turned off their Christmas lights within an hour of Trump’s announcement. 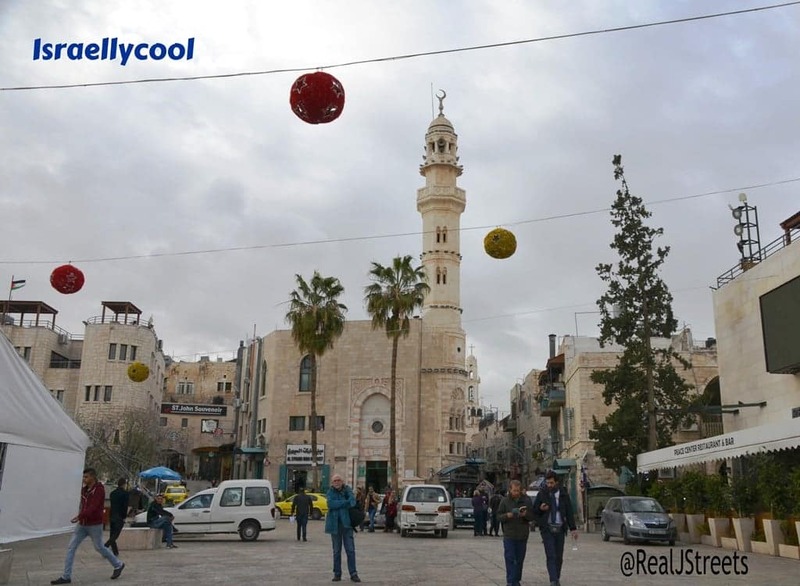 In Nazareth, the town where Jesus is thought to have grown up, now the largest Arab city in Israel, the Muslim mayor scaled back Christmas celebrations in identification with the Palestinians. And ahead of US Vice President Mike Pence’s planned visit to Jerusalem this week, now postponed, Adeeb Joudeh, the Muslim man whose family has held the keys to the Church of the Holy Sepulchre for generations, announced that he wouldn’t let Pence, a devout Evangelical Christian, enter. 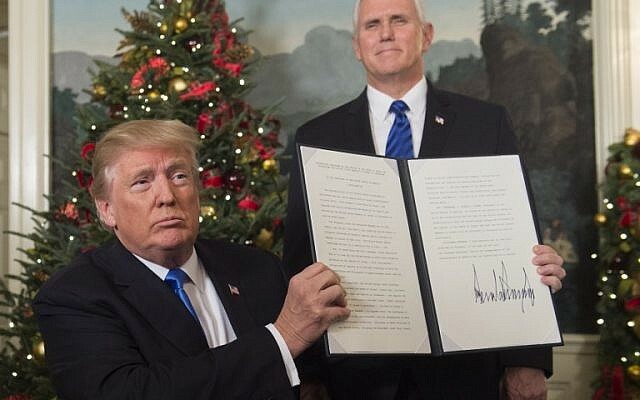 This tactic of protesting by denying Christians their Christmas celebrations reaffirms that Trump did the right thing in declaring Jerusalem Israel’s capital, and for his administration to say last Friday that it envisions the Western Wall within Israeli Jerusalem in a final-status deal. 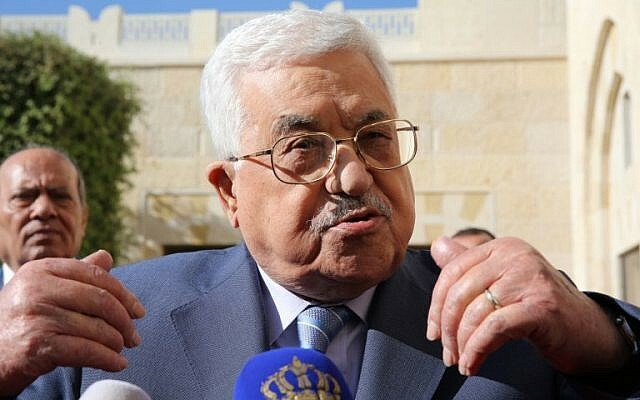 Palestinian Authority President Mahmoud Abbas claims that he is a defender of Christian Arabs in areas under his control. He repeatedly said that Jerusalem is a Muslim and Christian – but not Jewish – holy city in his speech to the Organization of Islamic Cooperation last week. But the Palestinians’ track record, even before putting a damper on Christmas this year, should leave Christians skeptical. In 1950, the Christian population of the Bethlehem area was 86%, according to the National Catholic Reporter. Today, it’s only 12%, and Christians are only 2% of the Palestinian population, even though they were more than twice that a generation ago. The situation in Gaza, controlled by the terrorist group Hamas, is even worse. When Hamas took control in 2006, there were 6,000 Christians, and as of a year ago, there were 1,100. In Israel, the Christian population has stayed mostly stable at around 2%, growing by about 5,000 in the past 20 years. Christians have been fleeing Palestinian-controlled territories, and it’s easy to understand why, in light of their systemic abuse. In 2002, terrorists affiliated with Palestinian Authority chairman Yasser Arafat raided and trashed the Church of the Nativity in Bethlehem, holding monks hostage in the church, leading to a standoff with the Israeli Army. One of the Palestinian leaders of the raid later said they chose the church as a combat base intentionally in order to put make Israel look bad. In Gaza, Palestinian Christians have been murdered for their faith, including Rami Ayad, a leader of the Gaza Baptist Church and the manager of the area’s only Christian bookstore. The church has been commandeered by Hamas for combat, because it’s one of the tallest buildings in Gaza City. After all that, the Palestinian leadership still claims that they are the best choice to control Christian holy sites. In fact the only religious discrimination in Jerusalem is that faced by the Jews! The exception is the Temple Mount, which, while under Israeli sovereignty, is administered by an Islamic Trust, as a condition of Israel and Jordan’s peace treaty. Non-Muslims are prohibited from praying on the Temple Mount, even though the site is holy for all three major monotheistic religions. The rule is strictly enforced, and people have been thrown out for violating it. No matter what the city will eventually look like, all of the above is overwhelming evidence that Israel is the right choice to control the heart of Jerusalem – the Old City – because only Israel is willing to protect the religious freedom of Jews, Christians and Muslims who call it holy. Business was reported slow last year. It must be even slower so far this year, with calls for protests before Christmas in Bethlehem, using Jerusalem as the latest excuse. The Muslim Palestinians are angry at the United States for recognizing Jerusalem as the capital of Israel, i.e. the Jewish capital. So in revenge, they cancel Christmas. They don’t cancel Ramadan or Eid. They don’t cancel Chanukah. They cancel Christmas. Because Jews. Or because America. Or because they are bigoted supremacist supercessionists. Take your pick. Any one of the above, or all, are correct. The UN continued its shameful tradition vis-à-vis Israel with an emergency session held yesterday in order to denounce Trump’s declaration of recognition of Jerusalem as Israel’s capital, and demanding that the US rescind the President’s decree. Outrageously and absurdly, it was Yemen who called for the debate on the grounds that the declarations “threatens peace”. This is Yemen which is embroiled in a civil war with tens of thousands of casualties, not to mention massive human rights violations. I guess they would know what peace looks like? You can't make this stuff up department: At UN, Yemen ambassador, whose country is simply disintegrating before the world's eyes, says US decision on Jerusalem is serious threat to peace in the region and the world. 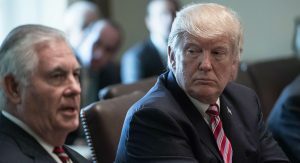 “I like the message that Nikki sent yesterday at the United Nations, for all those nations that take our money and then they vote against us at the Security Council, or they vote against us potentially at the assembly,” Trump said, commenting on US Ambassador Nikki Haley’s statement to UN member states in which she warned of possible retaliation should they support a resolution criticizing Washington’s decision. I am disgusted at the United Kingdom, but despite Theresa May’s pro-Israel reputation the Foreign Office does not fully represent her views. And maybe her reputation is not as well-deserved as we think. I expected no better from Germany and France, but it was interesting that the Czech Republic, Poland and Hungary chose to abstain rather than vote with the EU block, as well as Latvia and Romania. 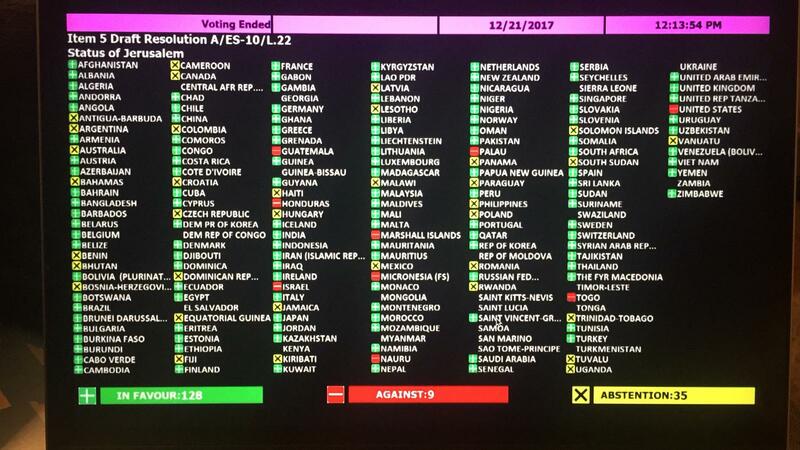 Australia and Canada, traditionally two of Israel’s strongest Western allies, hardly covered themselves in glory when they abstained – which is almost as bad as a vote in favour of the resolution. As to the action on the floor itself, here are some of the speeches against the resolution. Addressing the General Assembly, Ambassador Danny Danon harshly criticized the countries supporting the resolution at the urging of the Palestinian Authority and the Palestine Liberation Organization. Earlier in his address, Ambassador Danon displayed a coin from the year 67 CE that was minted during the Jewish revolt against the Romans. Replicas of the coin had been distributed to the UN ambassadors before the vote. Thank you, Mr. President. In this meeting, I will not use Council’s time to address where a sovereign nation might decide to put its embassy, and why we have every right to do so. I will address a more appropriate and urgent concern. This week marks the one-year anniversary of the passage of Resolution 2334. On that day, in this Council, in December 2016, the United States elected to abstain, allowing the measure to pass. Now it’s one year and a new administration later. Given the chance to vote again on Resolution 2334, I can say with complete confidence that the United States would vote “no.” We would exercise our veto power. The reasons why are very relevant to the cause of peace in the Middle East. On the surface, Resolution 2334 described Israeli settlements as impediments to peace. Reasonable people can disagree about that, and in fact, over the years the United States has expressed criticism of Israeli settlement policies many times. But in truth, it was Resolution 2334 itself that was an impediment to peace. This Security Council put the negotiations between Israelis and the Palestinians further out of reach by injecting itself, yet again, in between the two parties to the conflict. By misplacing the blame for the failure of peace efforts squarely on the Israeli settlements, the resolution gave a pass to Palestinian leaders who for many years rejected one peace proposal after another. It also gave them encouragement to avoid negotiations in the future. It refused to acknowledge the legacy of failed negotiations unrelated to settlements. And the Council passed judgment on issues that must be decided in direct negotiations between the parties. If the United Nations’ history in the peace efforts proves anything, it is that talking in New York cannot take the place of face-to-face negotiations between the regional parties. It only sets back the cause of peace, not advance it. As if to make this very point, Resolution 2334 demanded a halt to all Israeli settlement activity in East Jerusalem – even in the Jewish Quarter of the Old City. This is something that no responsible person or country would ever expect Israel would do. And in this way, Resolution 2334 did what President Trump’s announcement on Jerusalem as the capital of Israel did not do: It prejudged issues that should be left in final status negotiations. Given the chance today, the United States would veto Resolution 2334 for another reason. It gave new life to an ugly creation of the Human Rights Council: the database of companies operating in Jewish communities. This is an effort to create a blacklist, plain and simple. It is yet another obstacle to a negotiated peace. It is a stain on America’s conscience that we gave the so-called BDS movement momentum by allowing the passage of Resolution 2334. To the United Nations’ shame, this has been a disproportionately hostile place for the Middle East’s most enduring democracy. The United States refuses to accept the double standard that says we are not impartial when we stand by the will of the American people by moving our US embassy, but somehow the United Nations is a neutral party when it consistently singles out Israel for condemnation. For decades, Israel has withstood wave after wave of bias in the UN and its agencies. The United States has often stood beside Israel. We did not on December 23, 2016. We will not make that mistake again. This week marks the one year anniversary of a significant setback for Middle East peace. But the United States has an undiminished commitment to helping bring about final status negotiations that will lead to lasting peace. Our hand remains extended to both parties. We call on all countries that share this commitment to learn the hard lessons of the past and work to bring Israel and the Palestinian people in good faith to the peace table. I have been the proud Representative of the United States at the United Nations for nearly a year now. This is the first time I have exercised the American right to veto a resolution in the Security Council. The exercise of the veto is not something the United States does often. We have not done it in more than six years. We do it with no joy, but we do it with no reluctance. The fact that this veto is being done in defense of American sovereignty and in defense of America’s role in the Middle East peace process is not a source of embarrassment for us; it should be an embarrassment to the remainder of the Security Council. As I pointed out when we discussed this topic 10 days ago, I will once again note the features of the President’s announcement on Jerusalem that are most relevant here. The President took great care not to prejudge final status negotiations in any way, including the specific boundaries of Israeli sovereignty in Jerusalem. That remains a subject to be negotiated only by the parties. That position is fully in line with the previous Security Council resolutions. The President was also careful to state that we support the status quo regarding Jerusalem’s holy sites, and we support a two-state solution if that’s what the parties agree to. Again, these positions are fully consistent with the previous Security Council resolutions. It is highly regrettable that some are trying to distort the President’s position to serve their own agendas. What is troublesome to some people is not that the United States has harmed the peace process – we have, in fact, done no such thing. Rather, what is troublesome to some people is that the United States had the courage and honesty to recognize a fundamental reality. Jerusalem has been the political, cultural, and spiritual homeland of the Jewish people for thousands of years. They have had no other capital city. But the United States’ recognition of the obvious – that Jerusalem is the capital and seat of the modern Israeli government – is too much for some. First, some have threatened violence on the street, as if violence would somehow improve the prospects of peace. Now today, buried in diplomatic jargon, some presume to tell America where to put our embassy. The United States’ has a sovereign right to determine where and whether we establish an embassy. I suspect very few Member States would welcome Security Council pronouncements about their sovereign decisions. And I think of some who should fear it. It’s worth noting that this is not a new American position. Back in 1980, when Jimmy Carter was the American President, the Security Council voted on Resolution 478, which called upon diplomatic missions to relocate from Jerusalem. The United States did not support Resolution 478. That was in 1980. It is equally true today. The United States will not be told by any country where we can put our embassy. Buried even deeper in the jargon of this resolution is the accusation that the United States is setting back the prospects of peace in the Middle East. That is a scandalous charge. Those who are making it should consider that it only harms the very Palestinian people they claim to speak for. What does it gain the Palestinian people for their leaders to throw up roadblocks to negotiations? A “peace process” that is damaged by the simple recognition that Jerusalem is the capital of Israel is not a peace process; it is a justification for an endless stalemate. What does it gain the Palestinian people for some of their leaders to accuse the United States of being hostile to the cause of peace? It gains them nothing, but it risks costing them a great deal. The United States has done more than any other country to assist the Palestinian people. By far. Since 1994, we have given over $5 billion to the Palestinians in bilateral economic assistance, security assistance, and humanitarian assistance. The United Nations Relief and Works Agency for Palestinian Refugees operates schools and medical facilities throughout the region. It is funded almost entirely by voluntary contributions. Last year, the United States voluntarily funded almost 30 percent of UNRWA’s budget. That’s more than the next two largest donors combined. And it’s vastly more than some of the members of this Council that have considerable financial resources of their own. I’ll be blunt: When the American people see a group of countries whose total contributions to the Palestinian people is less than one percent of UNRWA’s budget – when they see these countries accuse the United States of being insufficiently committed to peace – the American people lose their patience. I have been to the Palestinian refugee camps the United States supports with their contributions. I have met with men, women, and children. I have advocated on their behalf. I can tell you that their leaders do them no favors by being more open to abandoning peace negotiations than to doing the hard work of seeing them to completion. The United States has never been more committed to peace in the Middle East. We were committed to it before the President announced our recognition of Jerusalem as the capital of Israel, and we’re committed to it today. What we witnessed here today in the Security Council is an insult. It won’t be forgotten. It’s one more example of the United Nations doing more harm than good in addressing the Israeli-Palestinian conflict. Today, for the simple act of deciding where to put our embassy, the United States was forced to defend its sovereignty. The record will reflect that we did so proudly. Today, for acknowledging a basic truth about the capital city of Israel, we are accused of harming peace. The record will reflect that we reject that outrageous claim. For these reasons, and with the best interests of both the Israeli and the Palestinian people firmly in mind, the United States votes no on this resolution. Israel will remain eternally grateful to the United States, led by President Donald Trump and so excellently represented by Ambassador Nikki Haley. I do appreciate the fact that a growing number of countries refused to participate in this theater of the absurd. So I appreciate that, and especially I want to again express our thanks to @POTUS Trump and Ambassador Haley, for their stalwart defense of Israel and of the truth. And Danny Danon reminded us of another shameful and outrageous resolution 42 years ago: the equating of Zionism with racism. Just as that resolution was rescinded 16 years later, so too will all these other shameful debates and resolutions end up in the trash can. Just like the Palestinians and their supporters simply can’t help themselves but resort to violence whenever a political decision is not anti-Israel enough, similarly the UN, the EU, and many other countries, whether civilised or not, feel it incumbent upon them to condemn Israel or the US or both if an action or statement is undertaken from which Israel benefits. The case of Donald Trump’s Jerusalem declaration was no exception. We could have written the script ourselves. Washington’s move left it isolated as one after another fellow UN Security Council members — Russia, France, the UK, China, Egypt, Jordan and a host of others — condemned the announcement. The debate unfolded at a largely symbolic emergency meeting of the council — no vote on a resolution was planned, as the US has veto power — two days after Trump reversed two decades of US policy on the holy city. The meeting was convened by eight of the 14 non-US members of the council. It seemed a vivid show of the discord triggered by Trump’s announcement, which included plans to move the US embassy in Israel from Tel Aviv to Jerusalem. Asked what he expected to come from the UN meeting, one diplomat said: “Nothing.” Another said the session would show US “isolation” on the issue. That very attitude is the essence of what is wrong with the UN. They are all about empty declarations on the one hand, or about rejectionism – opposing the US and Israel almost automatically. This time it is the US in the hot seat, being isolated for its views. More often it is Israel in this position. 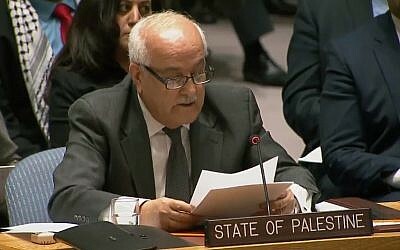 Palestinian envoy Riyad Mansour spoke of the “global consensus” against Washington’s recognition and said Trump’s decision to recognize Jerusalem as Israel’s capital and ultimately move the US embassy there should be reconsidered and rescinded. This is a flat-out lie. When Jerusalem was in the hands of “Palestine”, aka Jordan, during the years 1949-1967, the Jordanian Arabs (or Palestinians or whatever they want to call themselves) did absolutely zilch for Jerusalem besides emptying it of Jews in a horrific act of ethnic-cleansing never acknowledged by the world. They destroyed 58 synagogues and turned the Western Wall into a rubbish dump. They severely damaged and partially destroyed the ancient, 3,000 year old Jewish cemetery on the Mount of Olives, using some gravestones for latrines. THIS is called “being the heart of Palestine”??? I hate to think what their brain looks like. Their mendaciousness is beneath contempt. Last night in Sweden a synagogue was fire bombed. The occupants hid in the cellar. Do not blame Donald Trump. Do not blame Israel. Jews (not Israelis) are being attacked throughout Sweden and the big concern of the Swedish government is why America recognized the rightful capital of Israel. No wonder antisemitism is thriving in Europe. Turkey accused Trump of “putting the region in a ring of fire”. The only “ring of fire” is the one of their own making. Again: violence is a choice. The Turks don’t HAVE to whip up their streets into a frenzy. They could also call for calm and restraint. But pigs could also fly. Erdogan had earlier threatened to sever diplomatic ties with Israel if the president recognized Jerusalem as the capital. To be honest I did not realise that Turkey and Israel had renewed relations at all. Would it be such a great loss if Erdogan carried through on his threat? He is forever trying to hold Israel hostage to his tantrums. Maybe it’s time to call his bluff. ‘Our position on the status of Jerusalem has been clear and long-standing: it should be determined in negotiated settlement between the Israelis and the Palestinians, and Jerusalem should ultimately be the shared capital of the Israeli and Palestinian states. As Arlene Kushner below remarks, the two parts of the above paragraph contradict each other. Either Jerusalem’s status should be determined in negotiations, or it should ultimately be a shared capital. But there is no point in negotiations if the “ultimate” solution is pre-determined. And if if it is OK to determine that the capital should be shared, it can equally be acceptable to pre-determine that it is the Israeli capital. France’s Emanuel Macron urged Trump to desist from his declaration – to no avail evidently. Even the US State Department itself has not caught up with the statements of its President, and is still not listing Jerusalem as Israel’s capital! But look at the line-up that includes: France, Germany, Sweden, Italy and the UK, as well as the EU, Russia, etc. etc. There is an inherent lack of logic in the position routinely embraced by these nations and the EU: They insist that recognizing Jerusalem as Israel’s capital is premature because this issue must be resolved via negotiations. And besides, they insist, Jerusalem must be the capital of both Israel and a Palestinian state. That is to say, they have no trouble prematurely advancing a scenario that has not been determined via negotiations, as long as it is their scenario. Thank goodness for the breath of fresh air that is US Ambassador to the UN Nikki Haley. She launched a blistering attack on the UN that was condemning the President, accusing it of causing more damage to Middle East peace than advancing it. “Thank you, Mr. President. The Jewish people are a patient people. Throughout three thousand years of civilization, foreign conquest, exile, and return, Jerusalem has remained their spiritual home. For nearly 70 years, the city of Jerusalem has been the capital of the State of Israel, despite many attempts by others to deny that reality. The American people are less patient. In 1948, the United States was the first nation to recognize the independent state of Israel. 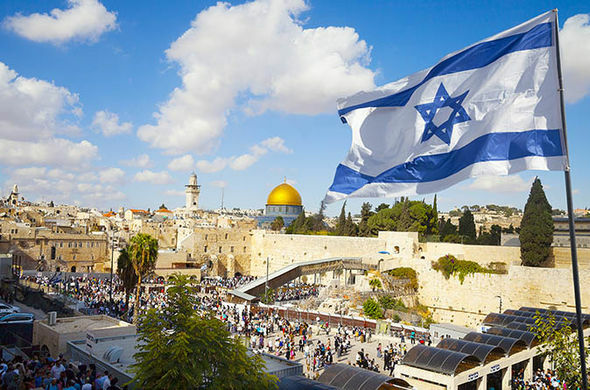 In 1995, the U.S. Congress declared that Jerusalem should be recognized as the capital of Israel, and that the U.S. Embassy should be located in Jerusalem. Presidents Clinton, Bush, and Obama all agreed with that position, but they did not act. They delayed, in the hopes that a peace process would produce results – results that never came. 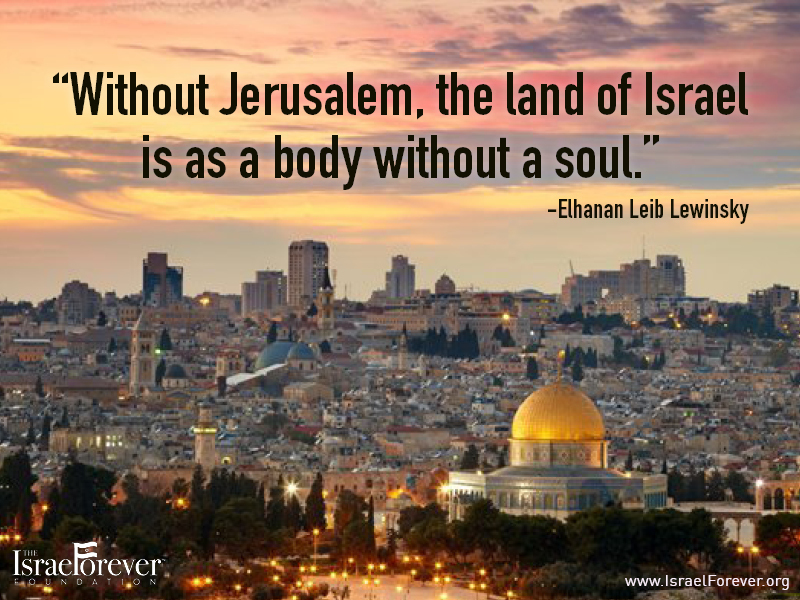 Israel, like all nations, has the right to determine its capital city. Jerusalem is the home of Israel’s parliament, president, prime minister, Supreme Court, and many of its ministries. It is simple common sense that foreign embassies be located there. In virtually every country in the world, U.S. embassies are located in the host country’s capital city. Israel should be no different. The United States took this step in full knowledge that it will raise questions and concerns. Our actions are intended to help advance the cause of peace. We must recognize that peace is advanced, not set back, when all parties are honest with each other. Our actions reflected an honest assessment of reality. I understand the concern members have in calling this session. Change is hard. But we should never doubt what the truth can do. We should never doubt that when we face the truth, believe in the human spirit, and encourage each other, that peace can happen. To those who have good faith concerns about the future of peace between the Israelis and the Palestinians, let me again assure you that the President and this administration remain committed to the peace process. To those who do not act in good faith – to any person, leader, country, or terrorist group that uses this week’s decision as a pretext for violence – you are only showing yourselves to be unfit partners of peace. Finally, I will not let this moment pass without a comment about the United Nations itself. Over many years, the United Nations has outrageously been of the world’s foremost centers of hostility towards Israel. Once again, kol hakavod to Nikki Haley who is not afraid to speak truth to power and put the UN in its place. Let’s hope her words start to sink in and begin to have an effect. Prime Minister Netanyahu ridiculed continued opposition to President Trump’s declaration, and the ongoing refusal of most of the international community to acknowledge the reality that Jerusalem is and has been the Jewish capital city. “You can read it in a very fine book – it’s called the Bible,” Netanyahu said. “You can read it after the Bible. You can hear it in the history of Jewish communities throughout our diaspora – ‘Next year in Jerusalem’,” continued Netanyahu, referencing a phrase from the Passover Seder. Philippines President Rodrigo Duterte sent a message to Israel that he wanted to move his country’s embassy to the capital, Israel’s Kan public broadcaster reported Wednesday. Both countries refused to endorse the EU’s statement that was going to express “serious concern” on the part of the entire organization of states. As a result, the statement was issued only by the EU foreign affairs chief Federica Mogherini. Just imagine a day in the not too distant future when it will be simply a matter of course for countries to have their embassies in Jerusalem. They should be brave like the Czechs and Phillipines, and give it a go. I’m sure the sky will not fall in. After days of speculation and rumour-mongering, Donald Trump delivered the speech of a lifetime – at least in the lifetime of the Jewish People. He walked a diplomatic tightrope by not going into the details of exactly where the US Embassy will be located or how long it will take to get it ready. In this way he satisfied the Israelis, and if the Palestinians were so inclined, they could be satisfied too, since the issue of the Embassy was left open-ended. He also didn’t mention the dreaded two-state solution – which by now should be recognized by all as a non-starter. He simply reaffirmed the United States’ commitment to peace and to settling the Arab-Israeli conflict, calling on all sides for restraint. In fact the speech was startling for the lack of any great new insights. It was the very fact that every point was obvious, and has always been evident for anyone who cared to look, that was so unusual – because when it comes to Middle East Peace-processing, wishful thinking is the name of the game. This speech was almost an “Emperor has no clothes” moment, except that here Donald Trump was playing the part of the naive child who states the reality for all the world to see. The Arabs, the Palestinians in particular, are threatening “days of rage” in response to Trump’s declaration. But did they ever declare “days of peace” when countless UN resolutions were passed in their favour? How about that miserable UN Security Council Resolution 2334, which declared all of Judea and Samaria as Palestinian territory, and calling all the settlements illegal, which was passed with the aid, abetting and active assistance of the United States under President Barack Obama? Did we get peace talks and normalization, or offers of land-swaps? We did not. We simply got more of the same old violence: stabbings, car-rammings, shootings and more. So please, give us Israelis one reason why we should take any more notice of these latest threats of days of rage than any other days of rage that are routinely declared on the slightest of pretexts. The Palestinians assert that America is no longer an honest broker in the peace talks. My question is “what peace talks?”. And was America an honest broker when those UN resolutions were going your way? Similarly with other countries who have strongly objected to Trump’s declaration. 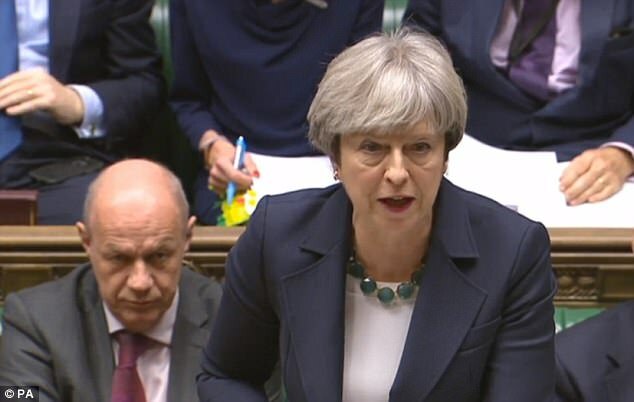 Britain’s Theresa May is going to express her concern to Trump, saying (wrongly) that Jerusalem is intended to be a shared capital between Israel and the Palestinians. The UN, the EU and even the Pope criticized Trump for his move. All expressed their “concern for peace”. But where were they when Israel’s streets were exploding? When “lone-wolf” stabbers ran rampant. When car-rammings took place on a nearly daily basis? And all this while Jerusalem was NOT recognized as Israel’s capital, and while “peace talks” were ostensibly taking place! So why should Israel, or Donald Trump for that matter, take the slightest notice of their ignorant opinion? Why do they think their dire warnings will resonate when they never paid more than lip service to the violence committed daily against Israeli civilians. Where was their pressure on the Palestinians to come to the negotiating table? 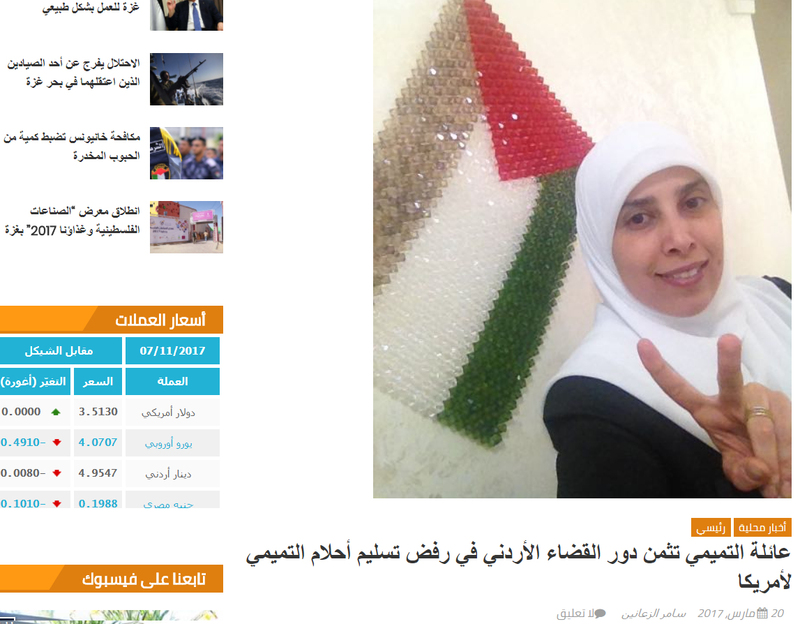 Where was their pressure on the Palestinians to stop the violence, stop the incitement? Only the Trump Administration has had the courage to shake up the playing board and restate the facts as they are, rather than as anyone would wish them to be. In perfect timing, maybe not coincidentally, the Taylor Force act was just passed in Congress, targeting moneys passed from the Palestinian Authority to terrorists in payment for their terrorist acts. None of this though is to derogate from the fact that Trump did not deny any Palestinian claims to Jerusalem, nor did he rule out the possibility of a Palestinian state. All they need to do for that is come to the table. Yet, for over 20 years, every previous American president has exercised the law’s waiver, refusing to move the US embassy to Jerusalem or to recognize Jerusalem as Israel’s capital city. In making these announcements, I also want to make one point very clear: This decision is not intended, in any way, to reflect a departure from our strong commitment to facilitate a lasting peace agreement. We want an agreement that is a great deal for the Israelis and a great deal for the Palestinians. We are not taking a position on any final status issues, including the specific boundaries of the Israeli sovereignty in Jerusalem, or the resolution of contested borders. Those questions are up to the parties involved. t is time for the many who desire peace to expel the extremists from their midst. It is time for all civilized nations, and people, to respond to disagreement with reasoned debate –- not violence. After holding our collective breath over the last couple of days, it emerged – without much fanfare from the American side – that Donald Trump has not quite refused to sign the waiver permitting the US to retain its embassy in Tel Aviv (the whole issue is terribly vague. Maybe the waters are being muddied on purpose) but he is going to make an announcement recognizing Jerusalem as Israel’s capital. Plus, he will be instructing the State Department to examine the practicalities of moving the US Embassy to Jerusalem. WASHINGTON — US President Donald Trump will announce in a speech on Wednesday that he is formally recognizing Jerusalem as Israel’s capital, while asking the State Department to formulate a plan for moving the US embassy there from Tel Aviv, White House officials confirmed Tuesday evening. The recognition of Jerusalem, widely expected to anger the Arab world and cast a shadow over US-led peace efforts, will also be accompanied by Trump committing to support a two-state solution should both Israel and the Palestinians back it, the officials said, in a likely bid by the administration to balance the announcement seen as heavily favoring Israel. The White House repeatedly referred to the recognition and embassy move, which will likely take years, as “acknowledging a reality,” noting the city’s role as the seat of Israel’s government but disregarding Palestinian claims there. “He views this as a recognition of reality, both historic reality and modern reality,” one official said. “While President Trump recognizes that the status of Jerusalem is a highly sensitive issue, he does not think it will be resolved by ignoring the truth that Jerusalem is home to Israel’s legislature, it’s Supreme Court, the Prime Minister’s residence, and as such, it is the capital of Israel,” one of the officials said. The US now officially recognizes Jerusalem as Israel’s capital – and the world has gone into meltdown. 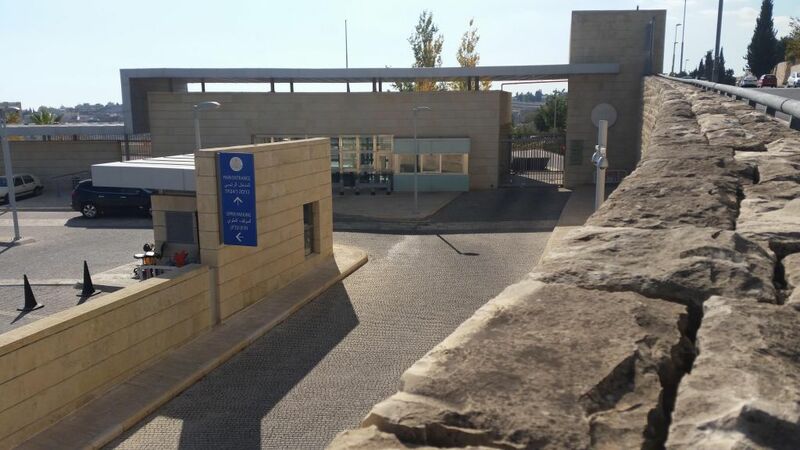 The Arab threats of mayhem and violence (as any good mafiosi would do) came thick and fast, with clashes expected in Judea and Samaria after Friday prayers – or incitement – in the mosques. ANKARA – President Tayyip Erdogan said on Tuesday Turkey could go as far as breaking off diplomatic ties with Israel if the United States formally recognizes Jerusalem as Israel’s capital, a move he said would be a “red line” for Muslims. Erdogan is the latest in a string of regional leaders, including Palestinian Authority President Mahmoud Abbas and Jordan’s King Hussein to warn of negative implications of the move. Israel’s Education Minister Naftali Bennett was quick to respond. BRUSSELS (Reuters) – The European Union’s top diplomat, Federica Mogherini, said on Tuesday that “any action that would undermine” peace efforts to create two separate states for the Israelis and the Palestinians “must absolutely be avoided”. Trump is expected on Wednesday to declare US recognition of Jerusalem as Israel’s capital and to order the start of work to move the embassy from Tel Aviv to Jerusalem, White House officials confirmed Tuesday. US recognition of Jerusalem as Israel’s capital is legitimate, almost banal; the same goes for moving the embassy there. But the warnings coming from even moderate Arab states show how sensitive the Jerusalem issue is and how problematic it can be to deal with even for them. While the embassy move is expected to take months if not years, merely the prospect of it, as well as the recognition of Jerusalem, have inspired a blizzard of warnings of possible violence in the West Bank and elsewhere. In a series of phone calls Tuesday, Trump made clear to Arab leaders his plans to move the embassy and recognize the city as Israel’s capital. He spoke about it with Palestinian Authority President Mahmoud Abbas, Jordan’s King Abdullah, Egypt’s Abdel-Fattah el-Sissi and Saudi King Salman. The leaders of all of the Sunni Arab states considered to be “moderate,” even those that have covert security ties with Israel, warned of the grave consequences of the move and of an escalation in violence because of the disregard for Muslim sensitivities around the world. 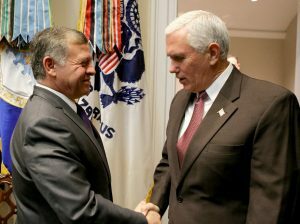 King Mohammed VI of Morocco, the Arab League, and the top Islamic body al-Azhar also all emphasized that moving the embassy could have serious consequences. Leading the chorus, rather than being led this time, is Abbas. He has spoken in recent days with every Arab and European leader he could and warned them that an action like this could lead to violence on the ground. Should there be an actual increase in violence, it won’t stem from attacks by “lone wolves” or smaller Palestinian factions; rather, the descent into chaos will have been orchestrated from above, by the chairman himself, just like in the bad old days of Yasser Arafat. Last July, amid the crisis over metal detectors at the Temple Mount, he made the unprecedented move of freezing security coordination with Israel, and now he is practically ordering his men to escalate violence. 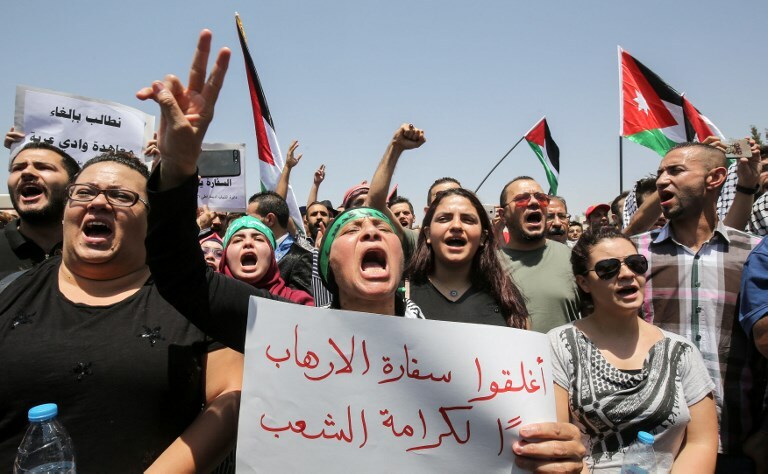 His Fatah faction published on Tuesday an official announcement calling for “days of rage” on Wednesday, Thursday and Friday, and for mass protests. The thing is, the Palestinians are always threatening violence no matter what Israel does. And even when Israel capitulates, there is still violence and another pretext will be spun out of thin air to justify it. It’s way beyond high time that Jerusalem received the recognition it deserves. We are lucky that Donald Trump is so politically incorrect that he doesn’t pay any attention to all the nay-sayers. But in the end, does any of this matter in the end? Will anything change on the ground for Israel and Jerusalem? (Besides the expected Palestinian violence of course). Jordan's foreign minister bewails "grave consequences" of US recognizing Israel's capital. Jordan's military occupiers 1949-67 wantonly ransacked ancient Jerusalem synagogues and Jewish tombs on Mount of Olives. Any truly serious peace agreement requires recognition of the Jewish state & its historical capital of #Jerusalem. If that doesn't suit the Arabs after 70 years, forget about any peace process. Well, we know Muslims pray with their derrières facing al Aqsa Mosque in Jerusalem. Arabs: Declaring #Jerusalem the capital could end the peace process. Translation: Do what we say otherwise we will murder innocent people.